Back by popular demand! LearningLife's annual Encore Transitions series is now open for registration! Early registration is recommended as seating is limited. Cultivate your mind and approach learning on your own terms! Intellectually challenging and personally enriching, LearningLife’s innovative portfolio of short courses, seminars, and one-day immersions features a range of topics and approaches to learning. Taught by University faculty, and scholars and professionals from the community, the program offers rich, meaningful experiences that highlight the intellectual resources of the University for those who seek knowledge, personal development, and academic and civic engagement. 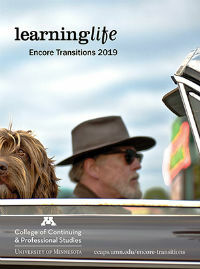 LearningLife also is home to Encore Transitions, a series of courses designed to help you imagine and prepare for a vibrant post-career life, and Headliners, a lively current event discussion series that highlights the recent work of University scholars and researchers. Have you ever wondered what Galileo found so fascinating about the Leaning Tower of Pisa and the study of mathematics and science? Or why he was willing to risk his career, his freedom, and even his life for science? 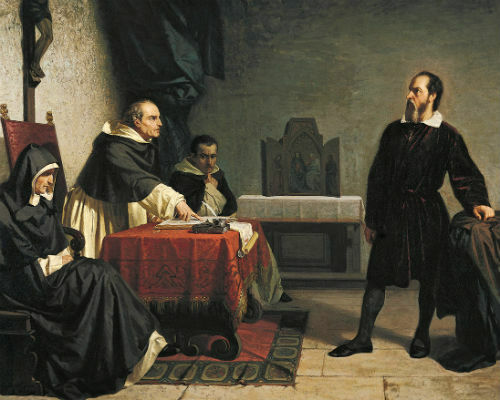 In this seminar we’ll learn how Galileo and his now-renowned contributions to math and science came into conflict with arguably the most powerful institution in Europe and perhaps the world, during post-Renaissance Italy. We’ll also examine what themes and issues surrounding the great 17th-century thinker might be manifested in today’s world. Poetry is one of the most ancient and durable art forms. So why does it get such a bad rap? While it’s true that poetry is sometimes taught in a way that makes people feel intimidated, it’s also true that poetry has long been a reservoir to help people understand and voice their relationships with the natural world and one another. Taught by Professor Emerita Toni McNaron, this course will guide participants through three highly accessible poetry collections. 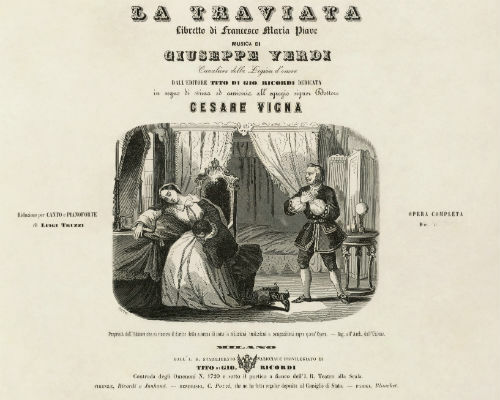 First performed in Venice in 1853, Giuseppe Verdi’s opera La Traviata (The Fallen One) maintains an unassailable position as one of the best-loved and most frequently performed operas in the world. Offered in conjunction with the Minnesota Opera production of La Traviata, this course celebrates the opera’s easy-to-follow love story and endless variety of memorable musical ideas and motifs, including the extravagant and florid passagework required of the female lead. This series of four day-long courses includes: Pathways to Post-Career Life (May 3), Financial Planning for Retirement (May 10), Aging Well, Being Well (May 17), and Launching Your Future (May 31). You may take the four-course series or individual courses. This day-long course includes: Encore Transitions (Dr. Kate Schaefers), Relationship Evolutions (Dr. Kate Schaefers), Internal Compass: Identifying Values, Talents, and Priorities (Bill Lindberg), and Thrive: The Broaden-and-Build Theory of Positive Emotions (Amy Gunty). The course is part of the Encore Transitions series, though you need not take the series to enroll. This day-long course includes: Unretirement (Chris Farrell), Social Security and Medicare Primer (Rhonda Whitenack), Estate Planning: Your Financial Foundation (Karen Hansen), and Retirement Planning Basics (Andrew Thelander). The course is part of the four-course Encore Transitions series, though you need not take the entire series to enroll. This day-long course includes: Longevity (Joel Spoonheim), Crossing Thresholds: Changes, Losses, Resilience, and Hope (Ted Bowman), Building Community and Finding Adventure One Cup of Coffee at a Time (Dorothy Sinha), Informed Aging and Empowered Caregiving (Diane Graham-Raff). The course is part of the four-course Encore Transitions series, though you need not take the entire series to enroll. The past two years have been met with tremendous change in the protection of human health and the environment and nowhere is this more apparent than at the US Environmental Protection Agency (EPA). In this seminar, Dr. Deborah Swackhamer will discuss her experience as a former EPA science adviser and how she believes recent changes are being bolstered by selective and dubious scientific evidence, therefore undermining the very integrity of science itself. This day-long course includes: A Purposeful Quest (Barbara Hoese), Finding Meaning, Money, and Happiness in the Second Half of Life (Chris Farrell), The Best Age: Framing, Naming, and Embracing Our Years (Sally Brown), Reset: Mental Programming for the Next Chapter (Robyne Robinson), and the Encore Transitions resource fair. The course is part of the Encore Transitions series, though you need not take the series to enroll. Did you know that for much of history, allowing women to make wine was forbidden in most parts of the world? Fast forward to the present day and you will find that women hold nearly every position integral to the fast-growing wine industry. This course explores a variety of wines created by some of the most famous women in winemaking, including Argentina’s Susana Balbo who was recently recognized as one of the ten most influential women in the wine world. Perhaps one of the most dramatic events of World War II came with the Allied invasion of Normandy on June 6, 1944, when approximately 156,000 US, British, and Canadian forces landed on five separate beaches along France’s Normandy coast and forever changed the course of the war. As the world marks the 75th anniversary of D-Day, this retrospective taught by Professor Emeritus John Kim Munholland provides details of how the historic invasion was achieved. The emerging field of “Design Thinking” takes design concepts from professional realms such as architecture, film, fashion, and design, and applies them to broader society. The process, which focuses on deep listening, holistic thinking, creativity, collaboration, experimentation, and “user” experience and engagement, is used in a variety of fields as well as by individuals working toward expansive or specific goals. In this course, you’ll use the systematic steps of Design Thinking to advance your creative vision. Heighten your visual awareness by using keen observational skills that help you draw what is seen rather than its symbol. A variety of techniques and media will be introduced to encourage experimentation and help you find your natural drawing style. You’ll learn different ways of observing and representing objects and people through quick gesture sketches and long-study drawings. Projects will focus on a variety of subject matter and introduce drawing concepts sequentially—each new concept and technique building on the previous. Would you like to become more adept at activities that researchers believe increase life satisfaction, purpose, and meaning? Would you like to live your life more fully? This course delves into the tenets of Positive Psychology, which focuses not on human deficits and problems but rather human strengths, resilience, and well-being. Gather some optimistic steam and come learn about the research behind this bold approach to looking at the variances of the human condition. The tenets of complexity theory (or complexity science) are actually echoes of ancient wisdom. It was near 500 BCE when Lao-tzu founded Taoism, Gautama Buddha founded Buddhism, and Heraclitus founded a school of thought that lives on today as “process philosophy.” These contemporaries all considered the impermanence of worldly things and the mysterious creative fount from which they arise. In this course, we’ll examine ancient traditions and modern science for their unique insights and for the many ways in which they echo and synergize one another. As we discuss paradox, the beauty of language, and “aha moments,” we’ll also delve into how to live life—both fully and well—in a complex and interconnected world. This immersion is an introduction to the fundamentals of painting with acrylic. As contemporary and historical artists and paintings are introduced for reference and inspiration, you’ll explore abstraction, painting from observation, brushwork, value, color mixing, composition, and a variety of techniques—to encourage both experimentation and the discovery of your natural painting style. So, you’ve written a book. Maybe you’ve even penned your acknowledgements, secured copyright permissions, and pondered the title page. But face it: the nuts and bolts involved in graduating from writer to published author can be daunting. From publishing workflow, copyright, and ISBNs to book printing, distribution, and marketing, this course provides a comprehensive overview of the self-publishing world. This survey of the history of Italian art begins in the Quattrocento (1400s) and closes with the rise of Italian modernism and some of its distinctive stylistic movements that led into the 20th century. The focus will be on the Italian art cities of Florence, Rome, and Venice, and all explorations will include brief “visits” to major museums and cultural institutions as a means to highlight the treasures that await visitors—be they in person or virtual. Historically, memoirs were written primarily by people of privilege and notoriety, predominantly white men, but in the early 21st century, the genre has been adopted (and adapted) by people whose lives are quite different from those earlier writers. The difference: a traditionally "polite" form of writing has become psychologically framed and politically astute. Taught by Professor Emerita Toni McNaron, this course will discuss three such “modern” memoirs. 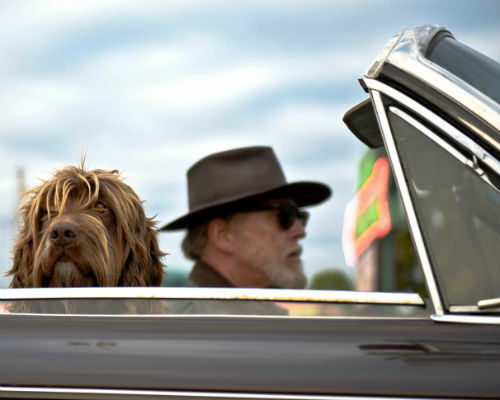 History is riding a wave of high interest, with many publications seeking factual historical stories and Oscar-winning movies focusing on tales of the past. 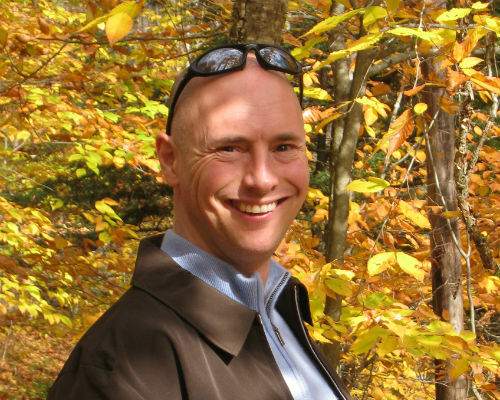 With long experience as an author of articles, essays, books, and podcasts on history-related topics, author Jack El-Hai will lead this fast-paced journey into the process of writing about history for general audiences. Hen of the Woods, Chicken of the Woods: what’s the difference? With more than 5,000 species of mushrooms found in the region, identifying species can be challenging. Led by mycology enthusiast Kathy Yerich, this course allows you to first learn about, then forage for, and finally savor the mushrooms of Minnesota. The course includes an introductory classroom session, a Saturday foray, and a closing soirée featuring small plates made from locally sourced wild and cultivated mushrooms, cooking tips, and a visit from a gourmet mushroom cultivator who will discuss the ins and outs of the ever-expanding local mushroom industry. Space is limited. What is this? Can I eat it? According to mycology enthusiast Kathy Yerich, these are the most commonly asked questions about mushrooms. Join us at the Campus Club to sample and learn about some of the more than 5,000 species found in our region. In addition to offering tips on how to use mushrooms in your own kitchen, the soirée will include a visit from a gourmet mushroom cultivator who will discuss the ins and outs of the ever-expanding local mushroom industry. Reservations must be made by September 18. There are four ways to register.